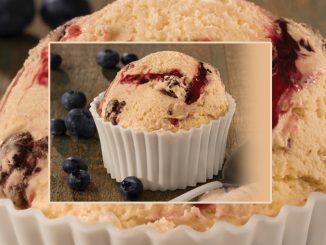 Baskin-Robbins Canada welcomes the season of love with the introduction of its 2019 Valentine’s Day-Inspired lineup, featuring the new Love & Kisses Sundae, Hershey’s Kisses Cake, and Cherry Cordial with Kisses ice cream. 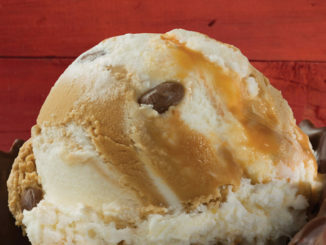 Top of the page for February is new Cherry Cordial with Kisses ice cream, the chain’s Flavor of the Month for February 2019. Cherry Cordial with Kisses features Hershey’s chocolate ice cream with mini Hershey’s Kisses and a sweet cherry flavoured swirl. The Love & Kisses Sundae pairs three of the brand’s “most romantic flavours” into the ultimate Valentine’s Day treat. 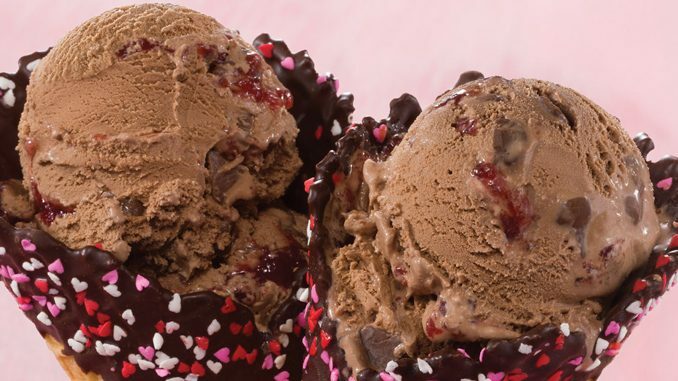 Featuring classic strawberry, Love Potion #31, and Cherry Cordial with Kisses – chocolate ice cream loaded with mini Hershey’s Kisses wrapped in a sweet cherry flavoured swirl – all topped off with a Hershey’s Kiss. 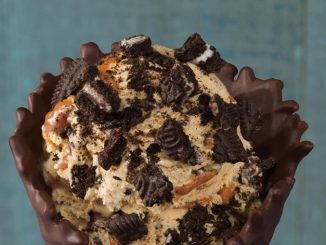 The new sundae is available at participating locations for a suggested price of $5.99. Finally, Baskin-Robbins Canada is welcoming the new Hershey’s Kisses Cake along with the Love Banner Cake and Pink Conversation Heart Cake. Each can be customized with your choice of ice cream flavour and cake. It’s good practice to order seasonal cakes in advance to ensure availability.